A Ventura woman died at Twin Cities Community Hospital in Templeton early Sunday after being transported away from a music festival at Lake San Antonio in southern Monterey County. 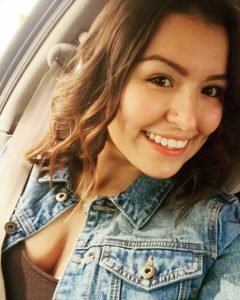 Doctors pronounced 20-year-old Ventura College student Baylee Ybarra Gatlin dead at approximately 3:40 a.m., according to the San Luis Obispo County Sheriff’s Office. The cause of Gatlin’s death is unknown, and an an autopsy is scheduled for Wednesday. Monterey County Sheriff’s officials have not released any information about the death. The Monterey sherif’s office stated in a Facebook post that about 25,000 people attended the three-day music festival known as Lightning in a Bottle. “The Monterey County Sheriff’s Office and founders of the event, The Do LaB, have built a great relationship over the years to provide safety and security for the attendees and staff,” the Facebook post states. 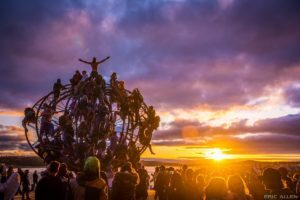 Lightning in a Bottle’s website acknowledges drug use occurs at the event and says a variety of safety protocols are in place in order to reduce harm. Lightning in a bottle, maybe more like drain cleaner in her heroin. Shame. Probably not the drug of choice for a RAVE event there copperhead. Please be better informed when attempting tasteless humor at the expense of the dead next time around. I thought you had better skills. You just can’t protect people from themselves. I’m sure the band didn’t provide the drugs or the alcohol. Why penalize everyone for the bad choice of the few? I know I sound like an old man but this event is not a good thing. The stories I’ve heard would bring me to shut it down. Likely the upcoming lawsuit may just do that, or at least cause the organizers to go bankrupt and then start up again under a new name and location and maybe better prepared. While we are at it…..The stories I’ve heard about trailer parks and drugs would bring me to shut them down too!! Funny, I hear the same thing about San Luis Obispo county. The heroin, the booze, the parties. This is the “burning man” of the CC.